A 62 year old white farmer and businessman of Kitwe has embarked on a lone walk from Kitwe to Lusaka to protest against Northern Province Permanent Secretary Elias Kamanga who he accuses of grabbing part of his farmland. Kevin Soper embarked on his 360 kilometers journey yesterday at 05:00hrs and hopes to reach State House in Lusaka at the end of next month. 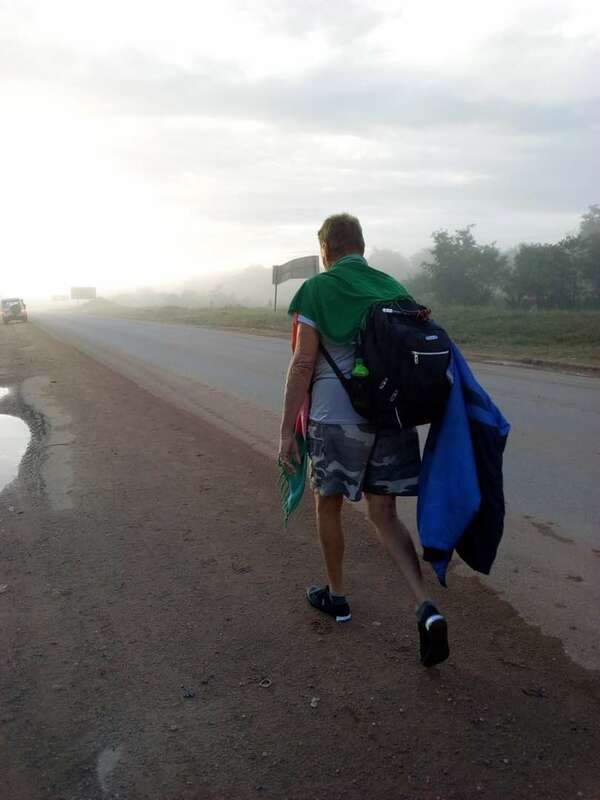 Speaking in an interview while walking along the Kitwe-Ndola Dual Carriageway yesterday, Mr Soper said he wants to go and plead with President Edgar Lungu to intervene in the matter. Mr Soper claims that Mr Kamanga got 600 hectares of his land and obtained title without his consent. “Am married to a wonderful Namwanga wife, we have 13 children and nine grandchildren at the farm,” he said. Mr Soper’s wife was a councillor for Limaposa ward in the MMD era and she served at the same time when Mr Kamanga was also a councillor in Kitwe. He has complained that his efforts to have the matter resolved at the Kitwe City Council and the former Copperbelt Minister Bowman Lusambo did not yield results. “Am walking to Lusaka and this is the only way I can get the President’s attention. The system at local government and provincial level has failed me, i want him to intervene,” said Mr Soper. Asked whether he was fit enough to manage the over 300 kilometres walk at his age, Mr Soper said God will help him. Mr Soper lives in Kitwe south where he says his family settled in the 1950s but the ownership of his farm has become a controversy. He is a holder of title deed number L10166 issued on 20th April 2000 but this document was cancelled when the Supreme Court ruled against him and former Wusakile Member of Parliament Barnabas Chella who claimed a huge piece of land in the area. Later, the Kitwe City Council offered Mr Soper and Mr Chella part of the land and the rest was advertised to the public. Though the late lawmaker accepted the offer and legalised his land, Mr Soper rejected the offer, insisting the whole land which has been subdivided by the Kitwe City Council belongs to him. Sadly, Mr Chella was hacked to death in 2013 by squatters who encroached on this same land. This subdivision of the land has seen about 20 people buy and set up farms in the area. And Mr Kamanga happens to be among the people who bought land there and this is what has prompted Mr Soper to go on a lone protest to Lusaka. In the early stages of this walk, Mr Soper was escorted by Pastor Kaputa Mufunga of Amazing Grace Ministries who kept preaching to him as they walked. “I have been praying for him for a long time so that he can live in peace with his family. Even on this journey, i will keep praying for him,” said Pastor Mufunga as they walked side by side. But when reached for a comment over the phone, Mr Kamanga cleared himself from the allegations saying he genuinely acquired the land. “That gentleman has been maligning me for a long time. I have not grabbed any land from him. I genuinely got my land from the Council, paid all service charges and got a title deed from Ministry of Lands. The council advertised that land after a Supreme Court judgement and i happened to be among the many who applied and were allocated the land,” said Mr Kamanga. Meanwhile, the Kitwe City Council says Mr Soper’s allegations are not genuine because he does not hold title to the land where he claims people have encroached. “It is not true that Mr Kamanga grabbed land. He applied for that land from the Council and if my memory serves me right, there were 20 applicants who benefited. And this happened way before the current government. 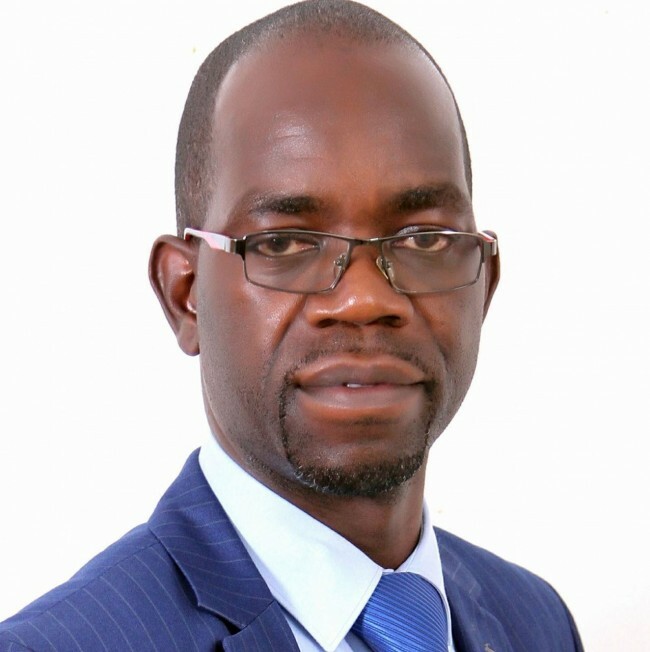 It was the Council term 2006 to 2011,” said Kitwe Town Clerk Bornwell Luanga in an interview. But Mr Soper’s walk to Lusaka was short-lived as he was picked by armed Police officers at Kamfinsa junction. He was later taken to Kitwe Central Police Station where he was advised to make a notification for a demonstration. But according to Zambia’s Public Order Act, a person or organization which wants to protest must give a 14 day notice to the Police. This means that Mr Soper’s lone walk to Lusaka may have to wait until the Police gives consent to his notice.